Tribute to the "Vande Mataram"
Hi, Everyone! On the occasion of the Republic day of India, I want to talk on the patriotic song Vande Mataram. January 26, 1950, was the day the Constitution of India came into force replacing the Government of India Act of 1935 as the governing document of India. It was a big step forward for India. This was adopted as the final and binding statement on this issue. Equal honor, equal status to the National Anthem—yes, if Vande Mataram couldn’t actually bethe National Anthem, it certainly deserved that. It is not just any song. The Vande Mataram was composed in 1882 by Bankimchandra Chatterjee in a mixture of Bengali and Sanskrit and published in his book Anandmath featuring the Sanyasi Rebellion. The first political occasion where it was sung was the 1896 session of the Indian National Congress. Before long the poem took the freedom fighters by storm. It became the slogan, the greeting, the national cry of the freedom fighters. In 1907, Madame Cama unfurled the national flag of India—the words “Vande Mataram” proudly emblazoned across the center of it. The Vande Mataram and its translations in many national and international languages got international recognition as the “war cry” of Indian freedom fighters even as early as 1906! So much so, that even the Indian National Congress adopted the first two versus of it as their national song in 1937. Unfortunately, the Vande Mataram has been tangled up in politics, labeled as a Hindu song, and caught up in controversy since the 1930s. Even today the argument continues. There is a verse where Mother India is likened to Hindu Goddesses, which is quite natural since the poet is Hindu and the poem belongs to a book on Hindu Sanyasis’ rebellion (historically the “Sanyasi Rebellion” includes rebellion by Muslim Fakirs. There were several separate incidents in the late 18th century.) 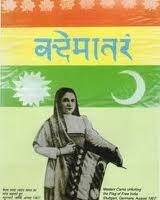 In the freedom movement the Vande Mataram was a symbol of Indian Nationalism. The song thrums with patriotism and love for the motherland. It was not associated with religion. Despite the honor and status conferred upon it by the Constituent Assembly in 1950, this stamp of being “Hindu” mighthave caused the Vande Mataram to fade into obscurity. But how can a song from which drips the blood of the freedom fighters of India, in which we hear their screech for freedom, and which oozes patriotic fervor and devout passion for their motherland just disappear from Indian memory? All India Radio and Doordarshan kept it fresh and alive in Indian hearts. And A. R. Rahman, the super-talented, patriotic composer (and much, much more) of international fame took it to new heights with the release of his album Vande Mataram in celebration of India’s fifty years of independence in 1997. Vande Mataram, sung by various artistes, then reached the pinnacle when it ranked second in the top ten songs (out of 7000 songs worldwide) in an international poll conducted by BBC World Service in 2003!! The Vande Mataram is today rendered by many artistes in song CDs, video albums, movies, and more. It will echo in the hearts and minds generation after generation; it will continue to get the honor it deserves and; it will keep the Indian patriotic flame burning bright. Hi, Everyone! 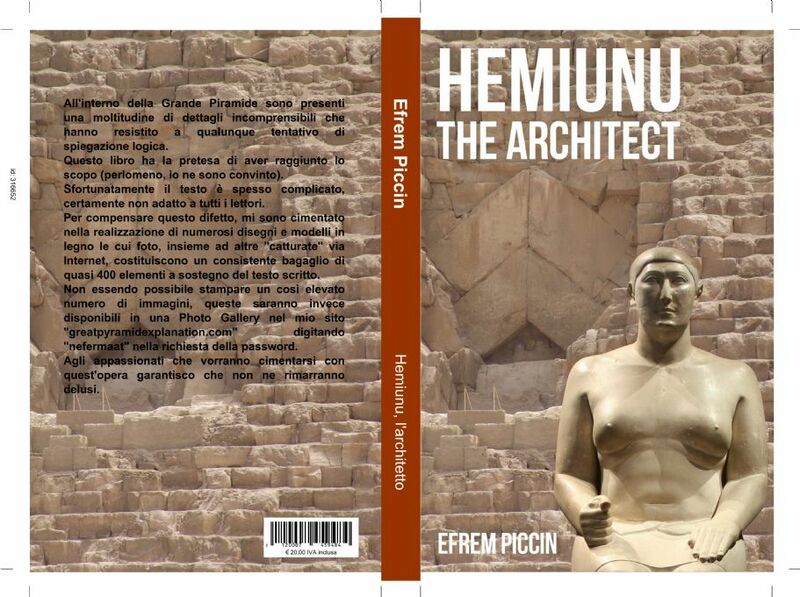 As of yesterday, I started work on another project which excites me greatly—the translation of the Italian book Hemuinu, l’Architetto by Efrem Piccin. When I say translate, I really mean attemptto translate, for I do not know Italian. But I have made a successful beginning and am greatly encouraged by it! My undying gratitude to Google (Google translate, in this case) and modern technology that makes such miracles possible. This is one of those things one never dreams of, and yet it happens . . . ! I consider it a greathonor to be associated with such a work of deep research on the Great Pyramid of Giza, in any capacity. I have always been fascinated—absolutely riveted—by the Great Pyramid since my childhood. I read and collect all kinds of books on it. I have the greatest respect for anyone who genuinely researches them—and they are so few, at least as far as the general public knows—irrespective of what their theory may be. I got to know Efrem quite by accident. When I was in the throes of editing my novel—and going stark, raving mad—I decided to take a break by hunting online for info on the GP. For two days I hunted obsessively (as I am wont to do) with not too many results. It is a strange thing, but almost everyone posts (and writes) of only one section of the GP which gives the location of the King’s Chamber and the Queen’s Chamber. But how—I verymuch wanted to know—were they located along the other plane? Were they offset from the center? By how much? There is great paucity of material on that. And just I was giving up, I came across a website (at the time, I did not even register the name) where there was a mention of this info. I was so utterly grateful I dashed of an email from the “contact us” unloading my mind of this problem and asking for help. The very next day I got a reply—in Italian . . . ! !—along with a wonderful, wonderful architectural section of the GP that I have never seen before. Fortunately, my venture into translating French documents using Google translate, left me unfazed when faced with the Italian words. I was able to read and reply to Efrem’s e-mail. Soon we were writing regularly. In fact, I have developed quite an efficient system of writing the emails and double-checking to make sure what I have written is what I intend to say. I was very impressed with Efrem and his dedication to his research. To me it seemed imperative that such a research must be made available to the world at large. And that meant an English version. It was going to be difficult for him to get that done. That is when I offered to attempt the translation myself. I figured it cannot hurt and something is better than nothing. Efrem was quite taken aback, I’m sure!! He demurred: it is an academic book, he said, and quite, quite complicated. Even knowing Italian, it is difficult—apparently—to grasp. I suppose he thought I had colossal nerve!! And perhaps I did! But as I pointed out to him, I am an architect, an author, and have been fascinated by the GP for more than 25 years. That’s quite an unbeatable combination. Now if only I knew Italian . . . Anyway, cautiously he came around to the idea and I am very, very honored that he has trusted me with his manuscript. It is quite a big deal to hand over an electronic copy of one’s manuscript to a stranger! Anyway, so here I am. I do believe that one can do anything, if only one has the right motivation (and perseverance, faith and belief in oneself.) All the same I am relieved to know that I am able to translate Efrem’s book. I have my fingers crossed for grasping the technical aspects (haven’t come to that part yet) of the book in Italian, but I intend to make a jolly good effort! I wish Efrem Piccin the best for his book. Hi, Everyone! It would have been easy enough for me to avoid writing the Savarkar-Babarao deathbed meeting. But I decided not to do so. With this one scene I could show the deep bond of love between the two brothers as well as the dedication and devotion to India despite the dire circumstances. In this scene I could reveal Savarkar as the epitome of the Karmayoga. Also, historically early 1945 was a landmark. 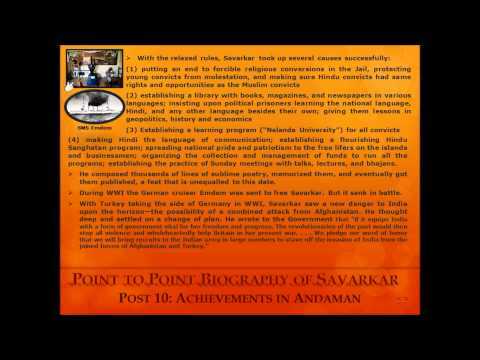 Savarkar had exposed the treacherous Congress politics to the Indians. He had successfully built up the Hindu Mahasabha to counteract it. Everything could have gone very well for India from here on; there were great hopes for it. But instead, the fate of India and Savarkar’s health went on a fast downward spiral immediately after. There was a lot riding on this scene for me. 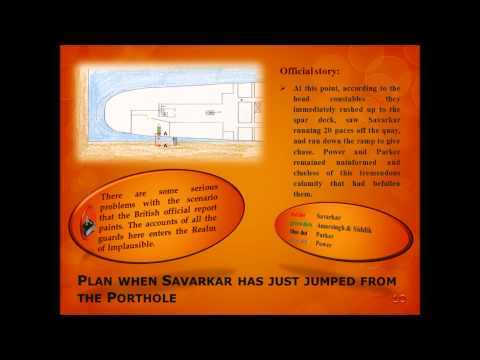 As is the case of most of the information on Savarkar, the facts of this scene are available. But what were his thoughts at the time? What was he feeling? What did he say? For me to write the dialogues of this scene it was essential to understand that. Fortunately for me, Savarkar’s letter to Babarao, written at this time, is available. Also, he has explored death in his poem Marnonmukh Shaiyyewar (Upon the Deathbed.) With great difficulty and much mental gyrations I had managed to translate this poem. 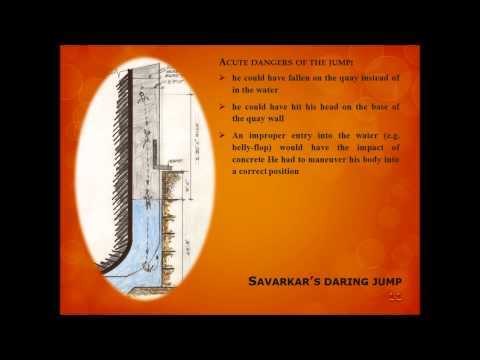 This allowed me to dare to have an insight into Savarkar’s mind. So the day’s end brings no sorrow to me. That blooms and bears fruit, so they say. Sowing them without expectation of fruit. All are but the consequence of one’s own actions. By our deeds and actions along the path of Dharma. What is it but an unfamiliar, foreign land? Hi, Everyone! Throughout my novel, Burning for Freedom, there are several scenes that I would—in my personal capacity—much, much rather not have written. But what kind of novel would it have been, if I deleted essential scenes just because I was too chicken-hearted to write them? Just because I didn’t want to put myself through the horrifying ordeal, the emotional agony, or reveal my heart and soul? No, not writing them was not an option I ever gave myself. I still wonder to myself with great incredulity, did I really write a gay molestation scene? Me . . . ?!! I remember praying fervently that I wrote realistically and effectively, and that the readers would not laugh themselves silly upon reading it. 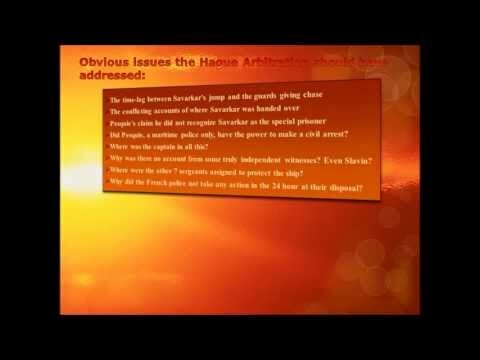 1913 was the year when Savarkar saved the first young boy from molestation. This single line from his My Transportation for Life had clung to my brain. The day after I decided to write the novel I woke up with the plot line in my head. 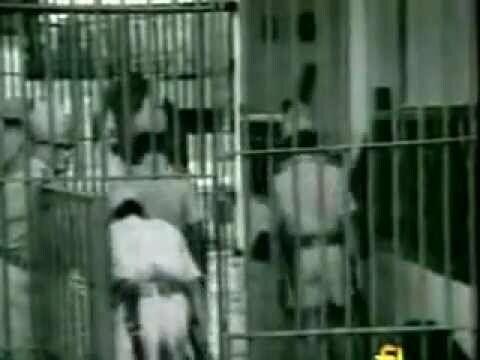 This scene was going to be the scene that brought Savarkar and my fictional hero together. A contrived situation created by an author is anathema to me. I most certainly didn’t want to write any “contrived” scenes. So this Savarkar-Keshu meeting was crucial. There were critical challenges to overcome. · making a meeting possible in the vast Cellular Jail where inmates are kept in solitary isolation. · bonding Keshu with Savarkar. But that was not enough; Savarkar had to bond with Keshu too. And that was a tricky business indeed!! · Absorbing Keshu quickly into the doings of the political prisoners, so I could merge the fictional element with the actual happenings. The gay molestation scene was an effective answer to all these challenges and had the great plus point of being based on a real incident. This was extremely important to me. I decided that I would not research this topic. My imagination would have to suffice. And that was terrible for me. The scene started popping in my mind move by move, over and over. I used to have nightmares and woke up sweating and with goose flesh. Unfortunately, I had not even started writing the Andaman part of the book yet. I was particular about writing the novel sequentially. It was not to be borne! I stocked my home with groceries and just got down to it. I wrote fast and furiously. It still took me exactly sixteen days to nail down the novel, first draft of course, till the end of the scene. By that time, my fridge was no better than Mother Hubbard’s cupboard, but the nightmares stopped. And that was a great relief to me. Savarkar: "Take the oath, O Youths!" Hi, Everyone! I had always loved Savakar’s poems sagaras and jayostute. In fact Jayostute was in my school (St. Columba High School, Mumbai) prayer book and though I didn’t know it was Savarkar’s poem, I had always crooned it to myself over the years. I didn’t quite understand the meaning, but I could feel the emotions in the poems. I was determined to quote them in my novel. Unfortunately, I couldn’t find any poetic translation of the poems. As in everything, when no help is available I have to buckle down to do it myself. And that was certainly easier said than done!! My Marathi is feeble at best. But I had a great asset on my side—my mother, Dr. Indrayani Sawkar. She is a Sanskrit scholar and her command over Marathi and English is excellent, too. I roped her in to give me meanings of Savarkar’s words. I studied Savarkar’s poems for hours and didn’t even attempt the poetic translation until I could feel my heart throb with the emotions, until I could feel the pain, the desperation, the love for his motherland that was spilling out of Savarkar’s words. An oath to die for your Country, do take! Ah! How rest you with such ease? Do not you feel pangs of torment? Writhing helpless in anguish it be! The Hindu trumpet resounds! The word is spread! And yet! Yet your hearts are not ablaze. Lest Our Country be destroyed! 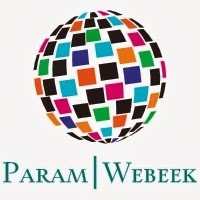 Let not a mere name it be worldwide! Savarkar’s words in this poem just make me cry. My translation can only be a poor imitation. I am not a poet, but I have done my best. I figured that would be better than no translation at all. I really, really do want Savarkar’s poems to be heard by all. Hi, Everyone! I had been posting on Gandhi and the Freedom Movement for so many weeks. Researching the horrendous deceit, power-plays, the pain, and the suffering was a burden on my soul. It felt as if I was floundering around choking in the murky depths of a swampland. The need to come up for a breath of fresh air—recharge my soul, so to say—was paramount. Which is why I have been writing on anything that comes to mind last few days; letting my spirit run free . . .
Today my spirit is alighting on facebook. I frequented facebook purely because it is recommended to use social media sites to promote one’s novel—but I have found it to be a learning and enriching experience. Through the dark days of researching and writing my Gandhi posts, every morning I woke up to some wonderful photographs posted on facebook by the same person everyday. So many photos were his own. He was certainly talented! There were photographs of flowers and birds, fascinating architechture, wonderful paintings, most unusual nature photos—really a wide, wide variety. The ones that really stole my heart were the cat ones. I love cats. So for me a window opened to a whole new world that existed beyond the confines of my life. Truly they gave me great joy. They gave me a sense of peace and beauty that there is in the world if one wants to find it. I did so very much need that. I needed that to wash away the darkness that researching on Gandhi enveloped me with. Out of the all the posts on my facebook Wall, the name Abhijit Rajadhyaksha—the one who was posting these photos—now sprang to my attention. I don’t remember how or when we became facebook “friends.” For a while I just silently enjoyed his photos. Then one day, I couldn’t resist commenting on the cutest photo ever. It always, always brings a smile to my face. After that we had we had a couple of interactions on facebook, one about my book and the other about Gandhi. I noticed that he was open to reading about something that did not necessarily line up with his thinking. It was most refreshing I can tell you!! Especially when it comes to Gandhi, I have found so many just don’t want to know. I think it was the next day that I discovered an interesting site in my blog stats, one on Indian history. Clicking on it, I was taken to this wonderful website. Under “My articles” there was a long, long list of the most fascinating subjects. I followed it all the way to the end and to my utmost surprise, bumped into Abhijit’s photo!! It was his site and he has another one. I was so very excited to see that, too. It gives such details (especially on the historical weapons and forts) and so well presented!! Abhijit was an author and researcher too and one interested in history!! I don’t know why he didn’t tell me of this, and I had to find out quite by accident. I am just so glad I did find it. Anyway, I have a shortlist of favored people and Abhijit is most certainly on it. And as I discovered today, we grew up in the same area and many of his friends and cousins were in my school (St. Columba High School, Mumbai) and even in my grade. Hi, Everyone! 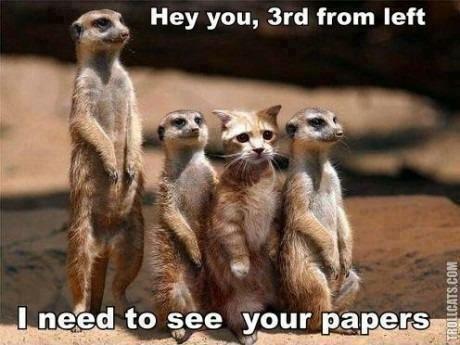 As a reader, I have often wondered how authors pick characters, how they develop them etc. And now when I find myself on the other side, I realized I had specific but quite unexpected reasons for whom I highlighted or dropped from my novel. I never forgot the main critieria: space limitation. I was determined to keep the number of pages as close to 350 as possible. Too many pages and it would put readers off; too little and I couldn’t do justice. As any character would have to be given some space in the book to explain his/her background and details, so I was quite ruthless in axing many of them. One such potential character was a child for Keshu and Lakshmi. I spent hours thinking over this. I kept in mind that I intend to write on Savarkar in Ratnagiri and Keshu and his family will naturally be featured there, too. Any decision would affect that story. So at first I had intended to give them a son, I had even picked the name. I intended to style him along the character of my youngest (a lovable, irrepressible, happy soul.) I had even ended my Part I with it. But I was so jealously guarding my space, especially after I learned that it would affect the selling price of the book, that I had to regretfully let go of that plan. I intend to have the character in my Savarkar in R. story, just not as Keshu’s son. I decided not to make any mention of Savarkar’s associates in the London days, too. Impossible to fit them into a few lines, not to mention the research hours it would have increased. On the other hand, I was so-o-o taken by Shantabai, Savarkar’s brother Narayan Rao’s wife! Her biography was engrossing. No thought of space restrictions came into my mind when it came to her scenes. She deserved the spotlight. I do believe her scenes add a good flavor to the story. I have been asked if her “Queen of Jhansi” like avatar in the last scenes was my imagination. It most definitely wasn’t! I have followed her biography faithfully in describing the scene. She definitely is a woman to be very much admired! · Savarkar admired her tremendously. · Shreerang, to whom my novel is dedicated, also admired her a lot. · I thought it necessary that the reader get to know the young Savarkar and the hardships his family had suffered. Some of her notes on Savarkar are preserved in a diary. One of these days I shall post on it. The one person I really, really regret not being able to feature is Appa Kasar. He was Savarkar’s devoted bodyguard. He was tortured in order to squeeze statements implicating Savarkar out of him in the aftermath of Gandhi’s assassination. He is my inspiration to cast Keshu in this role. Keshu’s mother Mohini, the poor dear, really suffered at my hands. What a sad life I have given her. A widow’s lot was difficult enough as it is! From the very beginning, though, I was quite decided upon her life: an intercaste marriage; young pregnant widow; an affair with her brother-in-law; and death. Her death was absolutely essential, for with that Keshu’s dual life could end. Her death scene used to float around my mind even before I started writing the Andaman scenes. It was very uncomfortable and disturbing, but I couldn’t get it out of my mind. I was so worried that I would not be convincing in that scene. But I have been assured by those who have read my book, that it is a chilling, chilling scene. Chasing my tail for a title . . . ! Hi, Everyone! I can’t really say that any part of writing my novel was easy. But finding the title reached nightmare proportions! I was chasing my tail for a title for ever. It all seemed so easy to begin with. Even before I started writing, I felt the name I Love my India was perfect for my novel. Wasn’t the novel all about love for India, after all? Didn’t I just love the song I Love my India from Subhash Ghai’s Pardes? So it was settled. It was as I started mentioning the title to people around me, that I noticed that there were no “yea, way to go!” coming my way re the title. And some even outright suggested I change it. Never! I thought to myself. I pinned my ears back and dug my heels in and became as stubborn as the proverbial mule. But when my publishing consultant threw up her hands in despair and made protesting noises re the title, I was forced to reconsider. I was leaning toward O Freedom . . . !To me that title expressed a deep yearning like Savarkar’s. I should mention that by this time, the novel was written and the cover design was fixed in my mind for months. So there was not a lot of flexibility. There was a book Freedom written the year before, so I scrapped this title and after much cogitating came up with The Burning Soul. I checked online and—yoo-hoo . . . !—it was there for the taking. There, I told myself, it wasn’t too-o-o-o bad. I could live with that title. And so a few months went by happily as I prepared the final draft—or rather what I so naively believed was the final draft! I actually changed it so many, many times later on. Then I got a very rude shock! John Connolly came out with a bestseller: The Burning Soul . . . !! It was a ghastly moment. I have already written so much about my attachment to names, so you can sympathize with me. I sunk my head in my hands in utter despair. I Will Not Be Silenced…. O, Freedom, Death is to live without you! Then I sent the whole lot to everyone I could think of for an opinion poll. From there I was back to O Freedom . . . !as my novel’s title! What can I say? La-la land is a wonderful place to be in while it lasts!! I dwelt in mine until I received my manuscript back from the publisher, with my title changed . . . ! To “Something Mother India”!! I threw not one but twenty fits, I can tell you. That title just wouldn’t do. I was really at the end of my rope here. The situation was now beyond head-clutching. I just sat on the couch and gazed at the above names (in distaste, I may add) and then . . .
Like a bolt from the blue, the name Burning for Freedomstruck my consciousness. I grasped at it with eager hands. Was it really going to be this simple, after all? Quickly I went to the amazon website and checked if anyone had staked their claim to this title already. No. Oh what joy . . . ! That’s it! Burning for Freedom it was going to be. It seemed so perfect in every way—from the cover, double play on the word burning, from the content—from every conceivable way. Why had I not come up with it all this while? I really couldn’t say. But such things have happened before. What are setbacks in life but really God’s way of guiding me—in my fumbling, bumbling way—through life, preventing me from wrong decisions, until I see the light at the end of the tunnel? A Young Voice of America Joins Mine . . .
Hi, Everyone! I have mentioned a few times before how much discouragement I have received re my stance to expose the truth of Gandhi through my novel (and my blog too.) One particular persistent voice still echoes in my head. “Why bother? You are only one voice. Indians won’t buy your book and Americans won’t like what you are doing,” said the voice. Of course, since I believe that one must do what one must without expectation of gain, and even one lonely voice is better than no voice at all, I did not let this constant chipping at my confidence hold me back. And today I shall tell you a little anecdote that gives me great hope. I grew up with Gandhism rammed down my throat in Indian schools. The same, I am sure, goes on in India even now. But what I find unacceptable is that it should creep into schools here in the U.S. Why should the erroneous image of Gandhi be perpetrated so mindlessly? In the Middle-school of my town, a teacher was making one such reference to the goodness of Gandhi and his principles of nonviolence that won India her freedom. This time one hand rose up in protest! How this gladdens my heart! In a world where adults are afraid to give voice to opinions that are not held by the public in general, here was a teenager not afraid to speak out. I am not one voice anymore, a young voice of America speaks with me. One ripple of hope has stirred the air . . .